Japan's Fukusima reactors' blast, sparked by a powerful quake, has cast doubts about nuclear power. But Russia has defied sceptics by signing on new atomic deals. The unfolding catastrophe at Japan's Fukushima Daiichi power station has provoked a rethink in Europe over nuclear power. But this has not dampened the enthusiasm of Russia and most countries of emerging Europe, which have reasserted their commitment to using more atomic power. Russia's Prime Minister Vladimir Putin was quick to affirm that Moscow will continue to build new power stations. However, like Germany's chancellor Angela Merkel, he also ordered a comprehensive safety review of Russians' nuclear assets. Putin's comments were followed by similar statements from the leaders of Belarus, Ukraine and Turkey, the countries which have recently bought Russian-made nuclear power stations. Russian President Dmitry Medvedev assured Turkish Prime Minister Tayyip Erdogan when he visited Moscow in mid-March that Russia will ensure Turkey's nuclear power plant, to be built in the southern town of Akkuyu, will be able to withstand powerful earthquakes. “The plant that will be built will be an example for the rest of the world,” Erdogan said during a press conference following talks with Medvedev. Russia and Belarus signed off on a $6 billion pact to cooperate in building a nuclear power plant in Belarus on the same day. The construction is due to start in September. Russia and Hungary also opened talks on the possible participation of Russian companies in a project to modernise Hungary's Paks nuclear power plant. 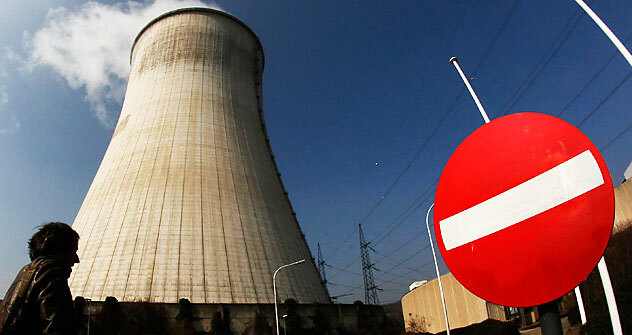 And Russia signed a new deal to build a nuclear power plant in Bangladesh at the cost of $2 billion, ITAR-TASS reported on March 1, citing officials in the Bangladesh government. After the explosion of the Chernobyl reactor in 1986 that sent a highly toxic radioactive cloud over most of western Europe, public opinion is still wary of Russian-made nuclear power stations. Russia abandoned the Soviet-era RMBK class of reactor following the Chernobyl disaster, although there are still 11 RMBK reactors operating in Russia today. But Moscow is resolved not to let the 1986 Chernobyl tragedy or 2011 Fukushima disaster to affect its global nuclear business plans. "We now have a whole arsenal of progressive technological means to ensure the stable and accident-free operation of nuclear power plants," Putin said, while asserting that Russia would continue selling Russian nuclear technology to its allies. Russia has the youngest reactors in the world with an average life of 19 years against the 26 years in Western Europe and US reactors are the oldest with an average life of 30 years. Fukushima is 38 and one of the oldest reactors in the world still in operation. It was originally scheduled for decommissioning this year, but its licence was renewed for another ten years. "Until now, countries in emerging markets were well out in front of the nuclear industry revival, accounting for a disproportionate share of the expected growth in nuclear energy use. Out of the 62 reactors currently under construction, 48% - or 77% of the total - are being built in China, Russia, India and South Korea," says Sergei Bubnov, who heads Renaissance Asset Managers' utilities fund. Russia is by far most reliant on nuclear power among the emerging markets, which makes up 16% of produced power, followed by Ukraine with 15%. And in the next 20 years, Russia is planning to double its nuclear capacity. "Inevitably, some of these plans might have to be reconsidered," says Bubnov. "Russia has a vocal environmental lobby, which might lead to the delay or even cancellation of some projects, in turn leading to higher prices." However, as the Russia economy regains vigour, the government has little choice but to build new nuclear facilities. The collapse in demand that followed the crisis had given the government some time, but as economic growth picks up again the window is closing fast. Russia's Energy Ministry says it needs 164 gigawatts (GW) worth of power capacity in Russia by 2030 at a cost of RUB1 trillion ($33bn), said Vasily Nikonov, a department director at the ministry, adding 18 nuclear power and hydropower plants with a combined installed capacity of 11.2 GW will be built. "It is impossible to speak about a global energy balance without the nuclear power industry," Putin said at a meeting of the Eurasian Economic Community's intergovernmental council.